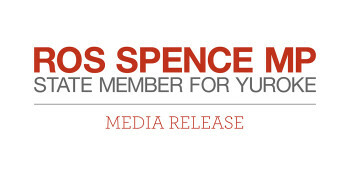 Member for Yuroke Ros Spence has announced $60,000 in funding for Hume council to help prepare and protect the local community for emergency events. Small business operators in the Craigieburn area will be able to access free mentoring, support and government business services when the Small Business Bus visits on Thursday 1 October 2015. The Andrews Labor Government today signed a historic bilateral agreement with the Commonwealth outlining the rollout of the National Disability Insurance Scheme (NDIS) in Yuroke. Government schools in Yuroke will now be able to apply for funding to build more inclusive and equitable facilities under a new $10 million Fund unveiled by the Andrews Labor Government. New powers of attorney laws, which come into effect today, will provide more protection and support for Victorians who appoint someone they trust to look after their personal and financial affairs.